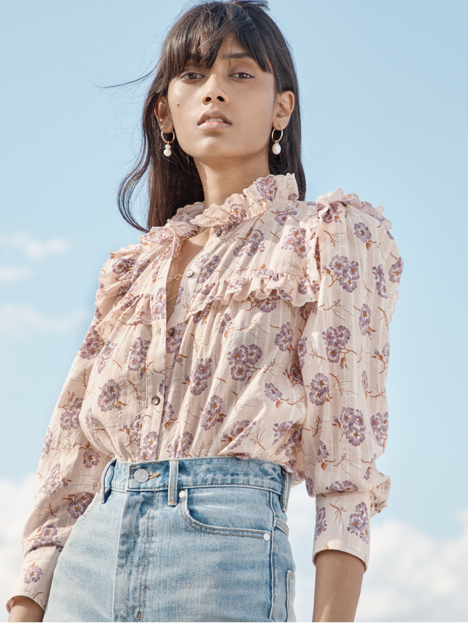 Voluminous sleeves and soft garden florals reflect the optimistic mood of the season on this top. Voluminous sleeves and soft garden florals reflect the optimistic mood of the season on this top. Its adjustable striped ties at the shoulders and sleeves lend a feminine twist to any look.